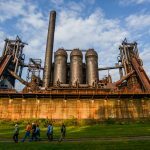 Join Rivers of Steel Arts for Iron Casting Workshops at the Carrie Furnaces National Historic Landmark. Workshops are perfect for iron enthusiasts looking for extended working time on site or those with limited experience looking to hone their skills. All experience levels are welcome and encouraged to participate! This workshop features extended shop time on site and in-depth instruction and/or assistance catered to the needs of each individual. Participants will have the chance to learn and experiment with multiple pattern-making materials and create complex multi-part sand molds. 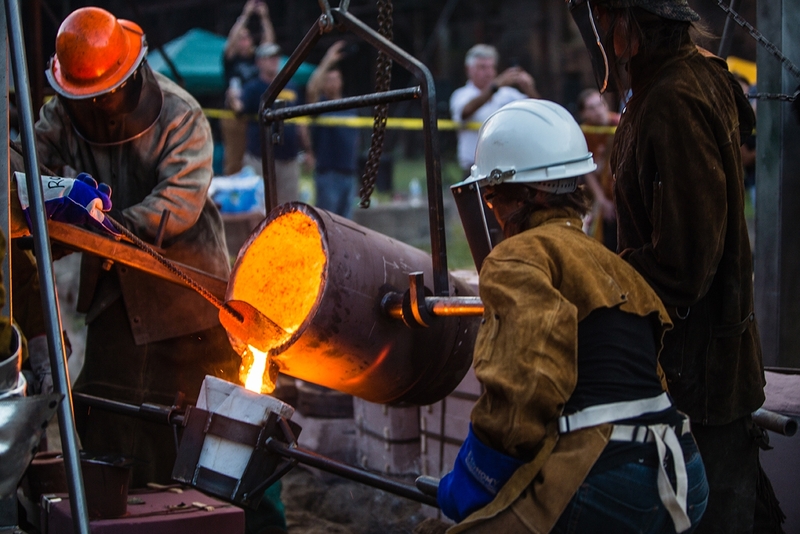 Registration includes access to the Carrie Furnaces foundry daily between 8am – 8pm and the ultimate experience of participating in an iron pour from a coke fired cupola—just like the historic furnaces on site! 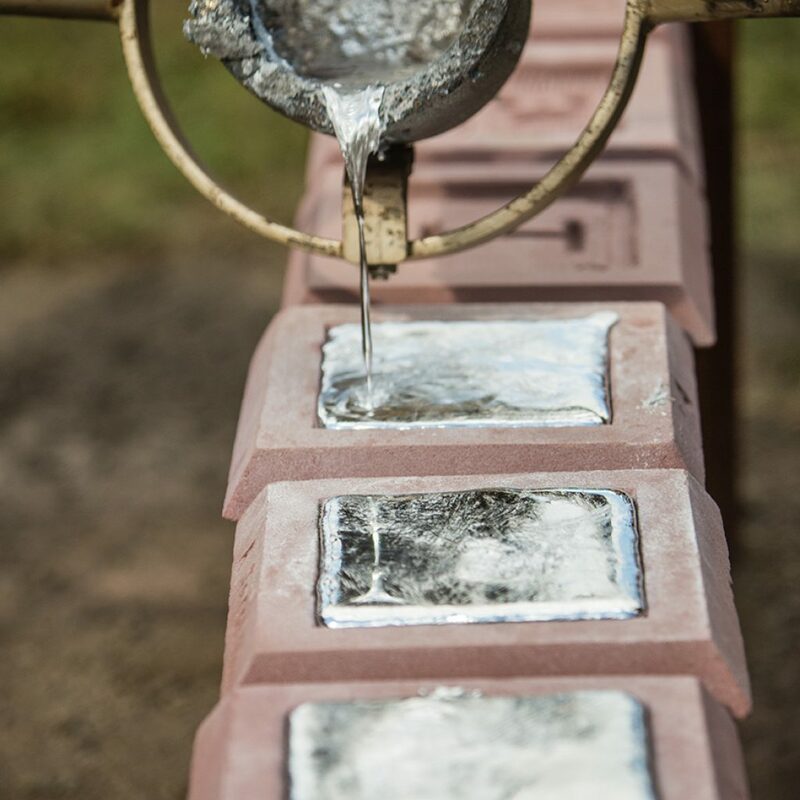 Explore the basics of foundry work with an overview of the iron casting process step by step. 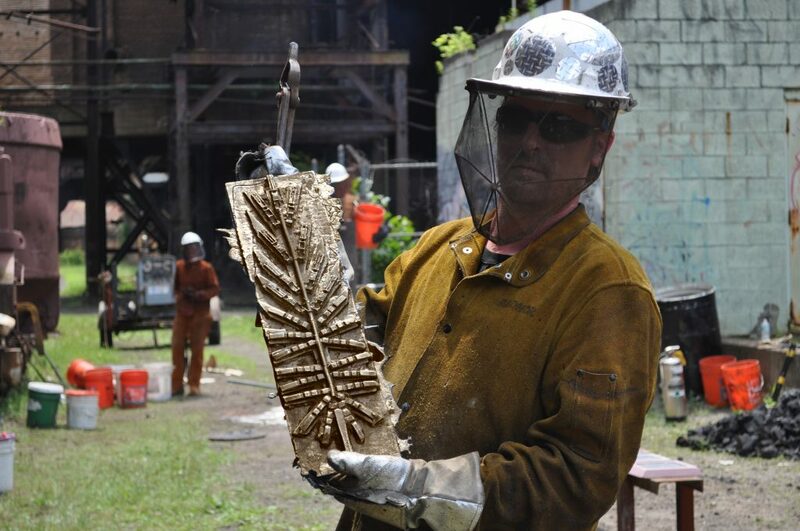 This three-part class introduces foundry processes, including plasteline and wax pattern-working, sand molds and metal casting. 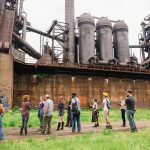 This workshop results in one medium scale object or several small scale objects of your design cast in iron. Workshops take place on Thursdays and Fridays from 4-7pm and all molds are cast the following Saturday. Final cast items can be picked up the following Sunday. Foundry 1 workshops include up to 250lbs of sand and corresponding chemical. Weeklong intensive workshops include up to 500lbs of sand and corresponding chemical. Sand and chemical needs beyond this allotted amount are available for $.25/lbs. Waste removal and foundry consumables are included in this price.